What Harriet Sherwood’s “five months of calm” in Israel actually looks like. Maysara Abu Hamdiyeh, a Palestinian who was serving a life term for recruiting a terrorist to carry out a suicide attack against Israeli civilians inside a crowded Jerusalem cafe in 2002, died of cancer on Tuesday. Despite the fact that the convicted terrorist – who was diagnosed with advanced cancer of the esophagus in February – had been treated by Israel’s top oncology doctors at Beersheba’s Soroka Hospital, his death was immediately used by the Palestinian Authority to stoke violence in the West Bank. President Mahmoud Abbas, and Minister of Prisoner Affairs Issa Qaraqe, among others, immediately accused Israel of medical negligence. In addition to riots by prisoners in Israeli jails which ensued after Hamdiyeh’s death, Palestinians have been violently taking to the streets in Hebron and throughout the West Bank and throwing rocks and explosives at Israeli soldiers. Israeli civilian vehicles have also increasingly come under attack on roads in the West Bank since Tuesday. Also since Tuesday, terrorist organisations in Gaza have launched missiles at Israeli communities for the third time since the eight-day November war ended. For three straight days, rockets were fired from Gaza, with two rockets exploding in open areas near Sderot on Wednesday “triggering alerts and sending frightened families fleeing for shelter”. Additionally on Wednesday, a global jihadi group in Gaza targeted Sderot with rocket fire just as parents were bringing their children to school. Fortunately, there were no injuries stemming from the attacks. In response, the Israeli Air Force struck two terror targets in the Gaza Strip, representing the first Israeli response to Gaza rocket fire since the end of the November war in Gaza. 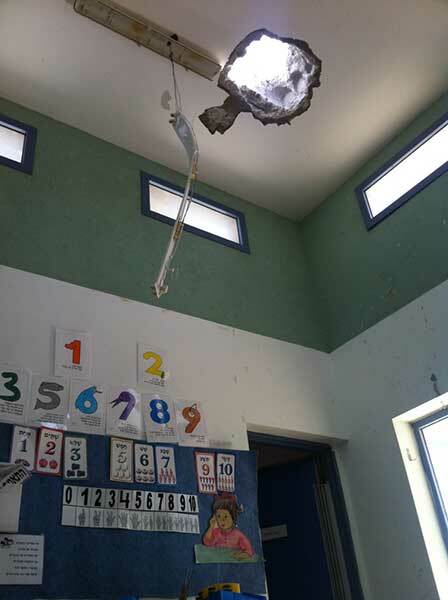 The IAF didn’t respond to a rocket attack launched from Gaza on March 21 during President Obama’s visit to Israel, which ended up striking an Israeli nursery school in Sderot (which was closed for the holidays), nor to a Feb. 26 Gaza missile fired towards the town of Ashkelon. The recent violence was reported by Harriet Sherwood in the Guardian on April 4th. Palestinian protesters clashed with soldiers after thousands of mourners turned out for the funerals of a 64-year-old cancer-stricken prisoner and two teenage boys shot dead by the Israeli military, the latest sign of the increasing turbulence across the West Bank. Meanwhile Gaza militants fired rockets towards Israel for the third consecutive day in a move that threatens to trigger a fresh cycle of violence after almost five months of calm since the eight-day war last November. Whilst some narratives about the conflict are open to interpretation, it really is difficult to understand how a professional journalist covering the region can honestly characterize the months since the November war as “calm”. In March 2013 there were 125 terror attacks, with most of the attacks executed in the form of firebombs. Six Israelis were injured: five citizens and one security officer. Five of them were injured by firebombs (a security officer in Judea on March 3, and 4 Israelis on the Trans-Samaria Highway on March 14), and one citizen was shot (March 18) near a gas station in Kedumim (West Bank). In Feb 2013, there were 139 terror attacks. Again, most attacks were in the form of firebombs. Three Israelis – one civilian and two security officers – were injured. They were all wounded during separate stone hurling and firebombing incidents during rioting in Jerusalem and the West Bank. The civilian was injured in Bitunya / Binyamin area (21 Feb.), and the two security officers were injured in Issawiya / Jerusalem (9 Feb.) and in Hebron (22 Feb.). In January 2013, there were 83 terror attacks: Three Israelis were injured: an Israeli citizen was moderately injured in a stabbing attack in the West Bank (January 29), and two security officers were injured by a firebomb near Al Aroub (January 3) and by stone-throwing in the nearby area of Rachel’s Tomb (January 13). In December 2012 there were 112 terror attacks. Three Israeli security officials were injured: two were stabbed in the West Bank (December 3), one was run over by car in Jerusalem (December 23). It was difficult to gather information on terror attacks which may have occurred in the last nine days of November (after the Nov. 21 ceasefire), but, even assuming for the sake of argument that there were no attacks during that period, in the four-months beginning in December there were 459 terror attacks – a fact which definitively undermines Sherwood’s characterization of life in Israel during that time. 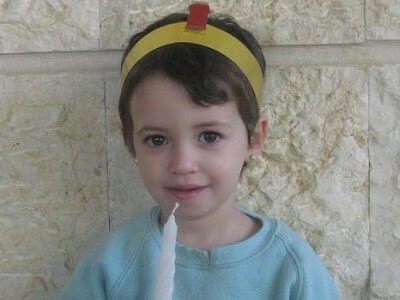 One of the victims of Palestinian terrorism during this period, 3-year-old Adele Biton, is still fighting for her life in an Israeli hospital – weeks after the car she was travelling in with her mother and two sisters was hit by Palestinian rock throwers. The rocks caused the car to swerve, and it rammed into a truck parked on the side of the road. Though her mother and siblings were also injured in the attack, Adele suffered severe trauma and is still listed in critical condition.